A direct sequel to Jak II that builds on its foundation and adds more. The setting, mechanics, and abilities from Jak II are all present with new ones added on top - a second city to explore, new vehicles to ride, several new firing modes for the gun, and “Light Jak” powers added on top of the “Dark Jak” ones. The core remains unchanged - an open-world mission progression with a variety of polished gameplay against a backdrop with a somewhat dark tone but a strong sense of humor. The game is a bit more accessible than Jak II with slightly lower difficulty and slightly lighter tone, though still not on the level of Jak and Daxter: The Precursor Legacy . The Jak-II -but-with-more-stuff approach works fine and the result is enjoyable in much the same way as the previous game. But it’s also a little less tight of an experience with the new stuff being less enjoyable than the old stuff. The new city feels quite different from the old one, but has fewer points of interest. The gun’s firing modes have tripled in number, but many of the new ones aren’t really worth using. The Light Jak powers are interesting, but are mostly just used to solve simple puzzles. What did receive a surprising amount of attention and polish are the new dune buggies. There are eight different ones with varying abilities and they all feel quite different to drive than the previous games’ hover-based vehicles. There’s a large desert area for driving them around to reach missions or collectibles, and on the way you will frequently have to deal with marauders attacking you in their own buggies. It’s well done, but it’s a very different kind of gameplay than platforming and you spend a lot of time doing it - to me, it wore out its welcome. 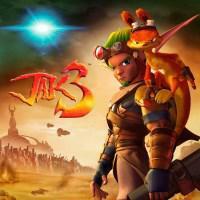 Still, Jak 3 presents a great experience in the vein of Jak II - if you enjoyed II , you’ll enjoy 3 . It’s a solid end to the trilogy, wrapping up the story with an ending that is both quite funny and more satisfying than we usually get from these kinds of games. I don’t think I’ll ever forget the first time I beat it. I Stopped Playing When: I completed the game multiple times on PS2 and PS3.